Dogs are a man’s best friend, so why shouldn’t they be treated as such? Dogswell produces dog food and treats that help aid in a few different areas of health in man’s best friend. Founded in 2003, the company has undergone a few changes since then. Most recently they have redesigned their packaging, website, and most importantly they have reformulated their food/treat recipes. The purpose of the reformulation was to improve the functional benefits of their products while providing a great taste dogs will love. The brand mainly sources their ingredients within the United States but does receive some of them from other countries. Their beef is farm-raised in the US as is the chicken and turkey. All poultry is cage-free, too. Their duck is also farm-raised, although the country of origin is not specified. Dogswell outsources their lamb where it is farm-raised in New Zealand, and they also get their green mussels from New Zealand. The salmon used in their recipes is Norwegian sourced and wild caught. Dogswell has a large selection of dog treats and food. The dog food selection is separate from the treats and can be found under another sub-brand called Dogswell Food. The three different categories of dog treats are formulated to benefit different aspect of dogs’ health. The Hip and Joint formula is made with glucosamine, vitamin E, and chondroitin which help support bone and joint health. The ingredients are safe for long-term use. The Immunity and Defense formula is full of antioxidants derived from vitamin A and E and is also made with flaxseed oil and turmeric. These ingredients can help strengthen a dog’s immune system, helping them fight off illness and stay healthy. Lastly, the Skin and Coat formula is made to keep skin healthy while giving the coat a shine with the use of flaxseed oil, vitamin E, biotin, zinc, omega-3 fatty acids, and omega-3 fatty acids. The Dogswell manufacturing facility is located in Missouri and is proud to be SQF level 3 certified. The certification stands for Safe Quality Food which is rewarded by the Safe Quality Food Institute. The certification is recognized by the Global Food Safety Initiative benchmark that requires certifications to be renewed. The Dogswell facility follows comprehensive safety and quality management standards. They have integrated a HACCP food safety plan (Hazard Analysis and Critical Control Points)- which controls and analyzes biological, chemical, and physical hazards that may be in or around the raw ingredients. These safety precautions apply to every step of the process from purchasing and handling the ingredients, making the food, and distributing the food. Dogswell is a decently affordable dog that sells four-pound 22.5-pound bags of dry dog food. The four-pound bag retails for around $12 while the 22.5-pound bag retails for around $39. Their canned dog food comes in 13-ounce containers in a case of 12. These retail for around $27. A 10-ounce bag of treats costs just under $20, a more expensive option in the Dogswell brand. The mini dog treats are much cheaper at just under $10 for a four-ounce bag. Dogswell is not one of the widely used dog food brands on the market but does have many happy and loyal customers. Their high-protein food is made with real meat and is supplemented with plenty of vitamins and minerals. The company is not as transparent with their ingredients and cooking processes as other brands may be. Is the brand worth a try? Overall, Dogswell has high standards for the safety of their food and mostly uses high-quality ingredients. The company does not disclose where they receive their vitamins and minerals, and it is suspected they are sourcing them from China. A customer can simply look-over the ingredients list on a product to decide if they find it suitable for their dog. Unless an owner is highly picky about the food they are giving to their dog, Dogswell is an above average brand with affordable products that both dogs and owners will love. 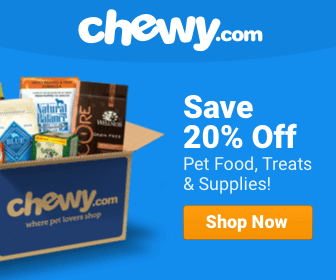 Dogswell food and treats can be found here on Chewy.com and at other retailers.